What would it be like if you knew a celebrity had called your phone but you missed it? Would you be sick to your stomach? Would you try to call back as soon as you realized you missed the call? I would dare to say that many of us would really hate to miss a call from someone of such stature. Yet, when we hear that God wants to connect with us, it seldom if at all excites our hearts. The crazy thing about a celebrity is that they may or may not try to connect with you ever again but God consistently seeks to convey His love and care about you. In fact He has given us 4 very clear ways that He is using to connect. 1) God connects with us through Creation. Psalm 19:1 makes it clear that even for the non-believer God is speaking a language everyone can understand. From the blue sky cradling the clouds to the night stars pinpointing God’s glory, all of creation is shouting there is a God seeking to connect with us. All that we see in the world around us is pointing us to a Creator; that’s the job of creation. This Creator wants to connect. 2) God connects with us through His Word. No book in the history of mankind has the credentials of the Bible. With more than 6 billion copies printed, in close to 2000 languages worldwide, the Bible has been ridiculed and ostracized yet endured. God has made sure that His Word remained so that we would know Him and see how He is seeking to connect with us. God’s word conveys His thoughts, His commands, His will, His pleasure and His purpose. When we read God’s Word, God connects with us and teaches us about Himself. 3) God connects with us through Prayer. Prayer is not unique to our religion. People from all walks of life express prayers in some fashion whether it is called “self-talk” or meditation. The difference for the Christian is that we have a God who actually connects with us through prayer answering very specifically to requests and desires. God invites us to call out to Him and to know His ways. Through prayer not only do we connect with God but He connects powerfully with us! 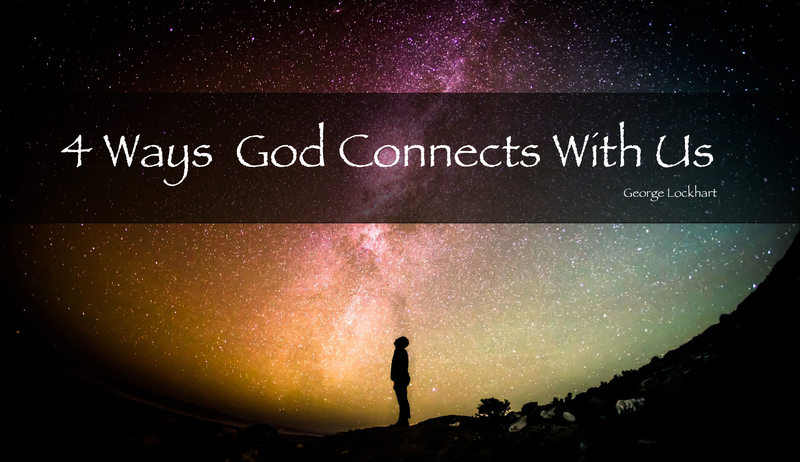 4) God connects with us through Christ. Jesus Christ is God’s ultimate attempt at connecting with us. Hebrews 1:1-2 directs our thoughts to God’s intention from the beginning. God uses various things to show us and connect but His grandest connection is made through the person of Jesus Christ. For the pre-believer to the old Saint, there is no other name under heaven whereby we can connect with God. Mohammed, Buddha, Confucius, or any other religious leader cannot make the connection to God for us aside from the Lord Jesus Christ. God is using Creation, The Bible, and Prayer to connect with us but none of it matters apart from Jesus Christ. God may not have “celebrity” status but He is truly the only famous one; and He is seeking to connect with you.